There is a scene at the end of Hrishikesh Mukherjee’s 1971 masterpiece, Anand, where Rajesh Khanna has just died and Amitabh Bachchan, playing his doctor and friend, sits distraught at his bedside. Then, just as Amitabh finishes his lines, Rajesh’s voice is heard, emerging not from the dead man but booming out of a tape-recorder. That scene replayed itself again and again in my mind as I watched the TV footage of a dismayed Bachchan visiting ‘Aashirwad’ after the real-life Rajesh Khanna’s death. Even as the cameras zoomed in on Amitabh, the voice-overs were all about Rajesh Khanna, the once and forever superstar. When Anand was made, Rajesh Khanna was the biggest star of his time and Amitabh a virtual unknown. In less than a decade, Khanna’s career would be in terminal decline, while Bachchan would become the emperor of Hindi cinema. But as Amitabh himself has often said, nothing in his career has ever approached the hysteria that Rajesh Khanna generated. The whole of India went Khanna-crazy, his mere presence on a street could cause a riot, girls married his photograph, women wrote letters in blood to him, children idolised him and he was the son that every mother wished she had. Bear in mind that all this was before the explosion of mass media. There were no TV channels to promote his movies, far fewer newspapers and magazines to celebrate his success and no Twitter to allow his fans to cultivate his legend. All Rajesh Khanna had going for him was his charisma. And in those days, that was enough. 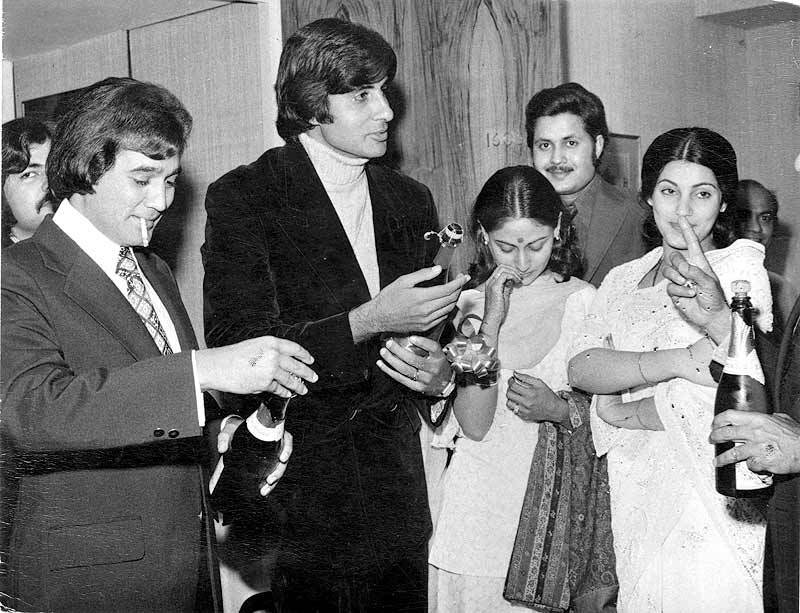 In many ways, Rajesh Khanna was the last star. He was like one of the heroes of 1920s Hollywood, who became the characters they portrayed on the screen. Certainly, there was a side to Khanna that his fans never saw. He was always late for shoots. He routinely kept his co-stars waiting. He would make producers come for script readings and then forget to turn up. He was moody, capricious and prone to extended sulks. He bought into his own legend (and that of Jonathan Livingston Seagull, a book he treated as his own biography), creating an off-screen persona that mirrored its screen counterpart, spouting dialogues, forever crinkling his eyes and favouring extravagant gestures. He liked his chamchas and his camp followers. He gave boastful interviews (to The Illustrated Weekly, for instance) saying he had “been intimate” with some of his co-stars but complaining that a few had bad breath. He liked his liquor and made no secret of it. And like the great Hollywood stars of the 1920s, he expected the world to dance to his tune. When his career collapsed, it was partly because he made disastrous film choices. By then, people had stopped telling him what he did not want to hear. And, moody and introverted, he saw enemies everywhere and resorted to bombast to bolster his confidence. But mainly, it was that the era had changed. By the time he had become too old to play the young romancer, and India had lost its innocence. 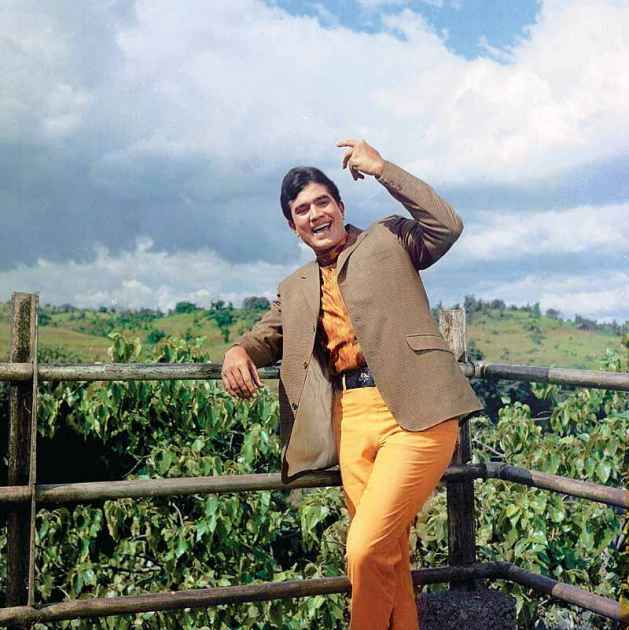 Once audiences had thrilled to Rajesh Khanna’s smile and copied the outlandish fashions he promoted: double-breasted shirts, short kurtas, V-necked shirts, belted safari jackets etc. Now an angrier audience wanted the smouldering intensity of Amitabh Bachchan. If Khanna had kept the tailors in business, Bachchan simply knotted his shirt at the waist or wore a banian. Off camera too, Bachchan was the anti-Khanna. He never missed a shoot. He was always on time. He was polite, well-mannered and never lost his temper. He did not touch alcohol. He did not insult his co-stars. He had no camp and no chamchas. And he kept his own personality entirely separate from the street fighters he played on the screen. Plus, Bachchan had an advantage that Khanna never possessed. He could convincingly bash up the villain. Khanna lacked the physicality for action and as the fashion for angry, fight-packed movies took over, he seemed increasingly isolated, a sad and puffy reminder of India’s age of innocence. And yet, as the outpouring of grief and emotion over the last few days demonstrates, many of us still long for the romance that Rajesh Khanna symbolised. We grieve for the loss of our innocence and we look back fondly to that gentle era when lovers serenaded pretty girls in trains and when drunks always sang in tune. Perhaps Rajesh Khanna’s career flamed out because India changed so quickly and perhaps his reign at the top was so brief because the light that burns twice as bright can only last half as long. Like some blazing meteor, Rajesh Khanna shot swiftly through our world, lighting up our lives as he passed. RIP.